Moonves, the CEO of CBS, is probably the traditional television industry's loudest, staunchest supporter. While his lieutenants were devising a new way to deliver CBS, via the Internet for $6 a month, "I'm the one that continually poked holes in it," he said, looking for flaws and hidden risks. It was in development for over a year. "And they came up with responses to everything," he said. The resulting product, called CBS All Access, arrived like a bolt of lightning Thursday, showing how even the biggest of broadcast networks is strategizing for a digital future that feels, actually, like the digital present day. "The reaction has been pretty good," Moonves said by telephone on Thursday afternoon, noting that Wall Street had "responded very positively" -- CBS stock closed at $51.18, up nearly 1% on a generally weak day for the markets. "Not up as much as Time Warner, I may add," Moonves said jovially, referencing Time Warner's announcement a day earlier that it will sell a version of HBO via the Internet next year. Moonves said he wants to know more about HBO's plan, which was only described in broad strokes Wednesday. As for his own online service, Moonves said it is designed to "satisfy a lot of constituencies." The $5.99-a-month CBS All Access includes a live stream of the network in some markets, full current seasons of some prime-time shows, and a catalog of classic sitcoms and dramas. CBS's 200 or so affiliated stations can participate in CBS All Access by enabling the live stream in their markets. "Affiliates that join in will share in the $5.99," Moonves said. And viewership will be counted by Nielsen, the same way it is on TV, satisfying the concerns of advertisers. What about the cable and satellite providers that sell bundles of TV channels? The vast majority of Americans watch CBS through one of those providers, and CBS All Access could be seen as a dodge around them, going direct to the consumer. 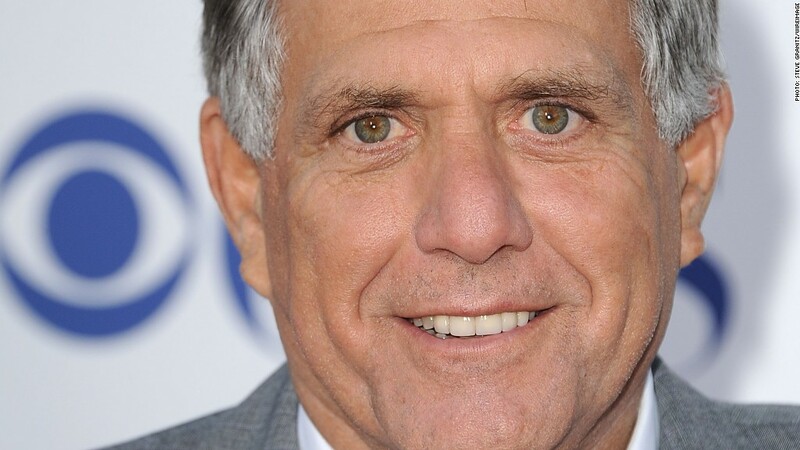 Moonves said "every media company in America is thinking about direct-to-consumer, mobile, digital." Steps in those directions give the media companies more leverage. But Moonves said he and his colleagues have been in touch with the cable and satellite providers, and "most of them are mixed" about Thursday's announcement. "Some understand it and like it because, by the way, one of the things we are stressing is that [providers] can be part of it," he said. In other words, CBS is eager to provide the same rights to the cable guys -- out-of-home viewing of CBS on phones, full current seasons of shows, etc. -- in exchange for an increased per-subscriber payment. Right now the providers already pay for the right to rebroadcast CBS, and they're not eager to pay more, so negotiations will have to ensue. "It could be advantageous" for the providers, Moonves said. He expressed confidence that "if you're at home watching TV, you're still going to go to Comcast, you're still going to go to DirecTV," or whatever company you already subscribe to. If you want to watch on the train ride home, the CBS All Access app allows that. That said, the service also gives CBS an alternative -- another way to reach viewers as a transformation takes place in the TV industry. CBS's rivals already have alternatives such as Hulu. In this media environment, "you don't want to be beholden to anybody," Moonves said. "You don't know where the world's going to go."